COLUMBUS – The Ohio State Highway Patrol is collaborating with the Illinois State Police, Indiana State Police, Michigan State Police and Truckers Against Trafficking to raise awareness about human trafficking. The initiative began today (Jan. 14) and will continue through January 18. The goal is to train and educate those who are in a position to see human trafficking taking place, such as commercial motor vehicle drivers, public transportation companies, rest area attendants and truck stop employees. The detail also explains who to contact when trafficking is suspected. By teaching these individuals the signs of human trafficking, and how to report it, they can provide an additional layer of security on Ohio’s roads. Troopers will also hand out information cards to help identify signs of human trafficking and ask people to report suspected trafficking. To report a trafficking tip, call the National Human Trafficking Hotline Resource Center (NHTRC) at 888-373-7888, text the BeFree line at 233733 or call the Patrol at #677. 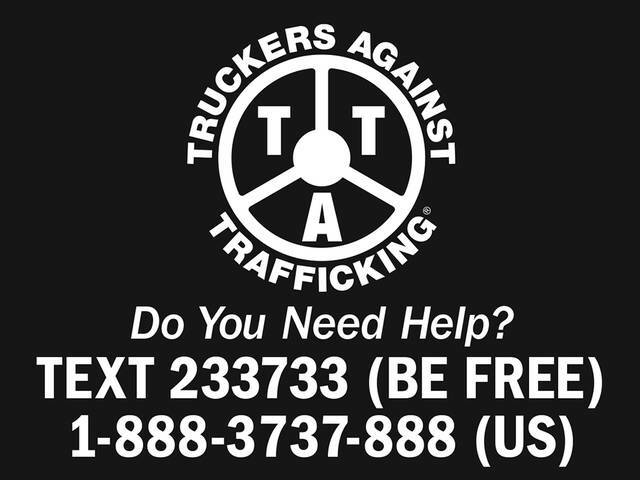 Truckers Against Trafficking is an organization founded by truckers to combat human trafficking across North America. Commercial motor vehicle drivers are in unique position to assist help law enforcement identify suspected human trafficking as they perform their daily duties across the nation. To learn more about Truckers Against Trucking please visit http://www.truckersagainsttrafficking.org/. (Columbus – Jan. 14, 2019) The Mid-Ohio Regional Planning Commission (MORPC) is rolling out a new logo and other elements of its brand identity during the early part of 2019. Those in the region can expect to see the updated logo, colors, fonts and graphics on all of the agency’s signage, printed and digital materials. MORPC serves as a resource for local officials as they make decisions about economic growth, development, transportation, energy and environmental sustainability to ensure Central Ohio remains thriving and competitive, with improved opportunities for social and economic mobility. It has more than 60 members – municipalities, townships, counties, and regional organizations – in its 15-county area of interest.